Labour Minister John Seneviratne said the government has already taken measures to legalize the proposed salary increase in last budget ,for the private sector employees, by Rs 2,500 . The draft in this regard has been sent to the Attorney General by the Labour Ministry. After the consideration of the Attorney General and with the approval of the Cabinet, the draft will be forwarded to Parliament in due course, he said. As proposed in the last budget, the salary of private sector employees will be increased by Rs 2,500 in near future. 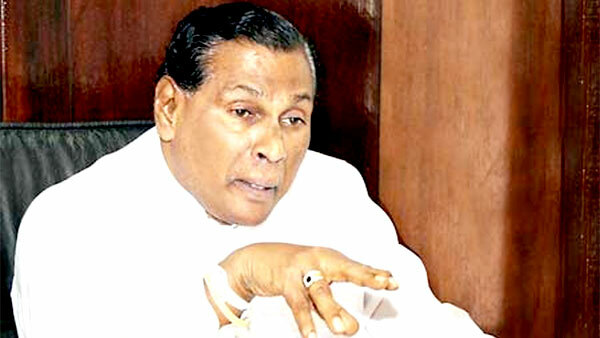 The minister was addressing the weekly media briefing of the Sri Lanka Freedom Party (SLFP) at the SLFP Headquarters yesterday. Besides, the basic salary of the private sector will be increased to Rs 10,000 since it has been revealed that the basic salary in several sectors is insufficient. Minister Seneviratne added that the basic salary of estate employees will also be increased to Rs 770 from Rs 620. He urged both the trade unions of estate employees and estate employers collective to sign a collective agreement in this regard as the salaries of estate employees are revised every two years in accordance with a collective agreement signed between the trade unions of estate employees and the estate employers collective. Minister Seneviratne said that the government has focused itself on putting a halt to labour exploitation through Man-power companies. "Hereafter, the service of Man-power companies will not be accepted by the government institutions" he noted. He added that labour compensation will be streamlined considering the present-day requirements. Moreover, more welfare facilities will be provided. "Only Rs 500,000 is paid on the death of an employee under the prevailing labour laws. This amount should definitely be increased to at least to Rs one million" he said. The compensation system and the increase in welfare facilities will be facilitated through an insurance scheme, he said. The minister further added that there should be a proper mechanism to obtain the best outcome of the EPF and ETF funds. If he sent to AG's department people can wait other years . When is the this new government going to clean AG's department? Most of courtupt and last regimes unqualified henchman still there . Even minister already dicided who to not arrest . Is this indifendance of law and order in this country ? People not gave him any power to do what ever he like to do .